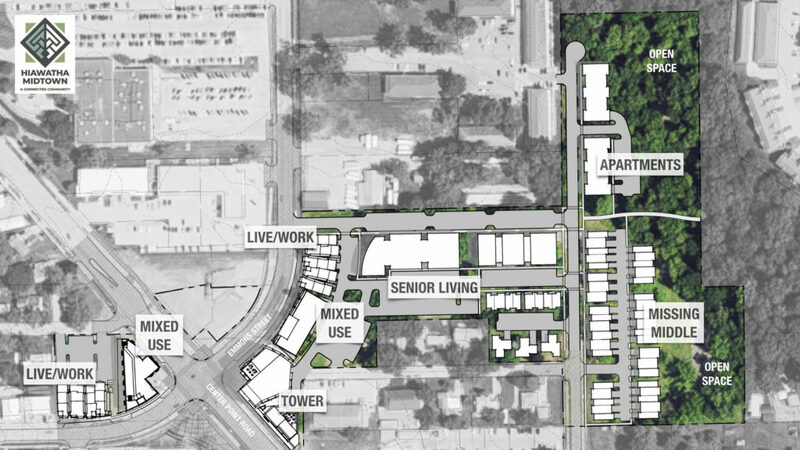 Keith Billick, a designer with Side by Side, LLC who is leading the project, says the large-scale development, to be completed in phases over a five-year period, will add a diverse mix of attainable housing to the city to accommodate a growing population. Housing will feature a mix of apartment, condos, townhouses, a senior living community and single-family bungalows. Central to the plan will be flexible live-work spaces that allow small business owners to combine some of their personal and business expenses, a strategy shown to increase the success rate of start-ups. 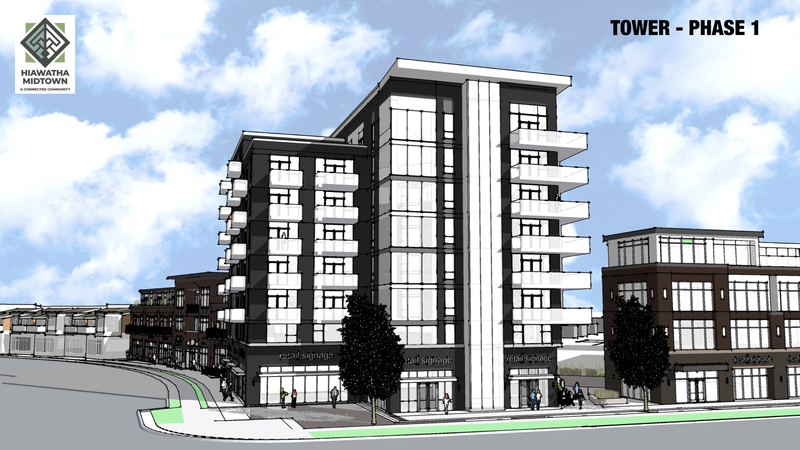 While the architecture and design of Hiawatha Midtown will offer a more contemporary feel, extra attention will be paid to ensure the development compliments the existing character of its surroundings. According to Billick, adding attainable, attractive housing and business space is just the beginning. Pedestrian and bike-friendly trails and sidewalks will better connect residents with local businesses. Plans are also in the works for green spaces to beautify the city and provide a place for socialization and outdoor recreation. More information and progress on the project can be found at hiawathamidtown.com.